A weekly 5km runday race at City Lake in Ivano-Frankivsk. 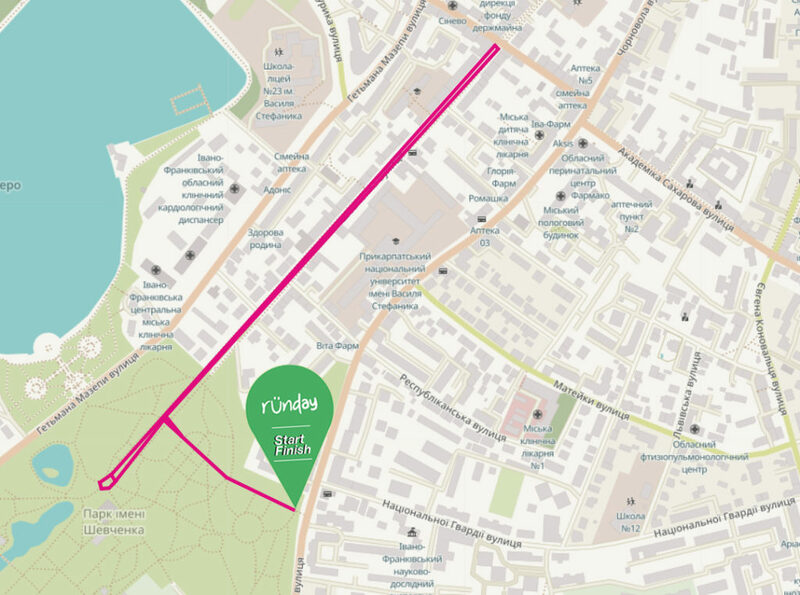 Shevchenko park – enter from V. Chornovola str. The length of the route – 5000m (5km) – 2 pieces for 2,5km around lake. Start and finish are at point. We hope these tips will help to ensure the safety of each participant at City Lake runday and we hope you enjoy our race!